The idea at the base is very simple: using less expensive and easy to work materials such as plastic polymers, to realize a fin directly deriving from Mustang in carbon fibre, exploiting the same synergies. 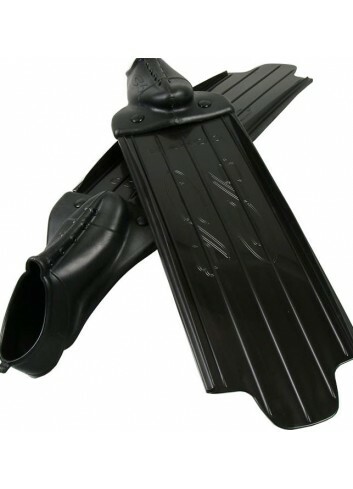 That's WAHOO, a new concept of plastic fins, with anatomical footpockets and water rails. WAHOO make accessible to a wide range of fans the C4 conception. 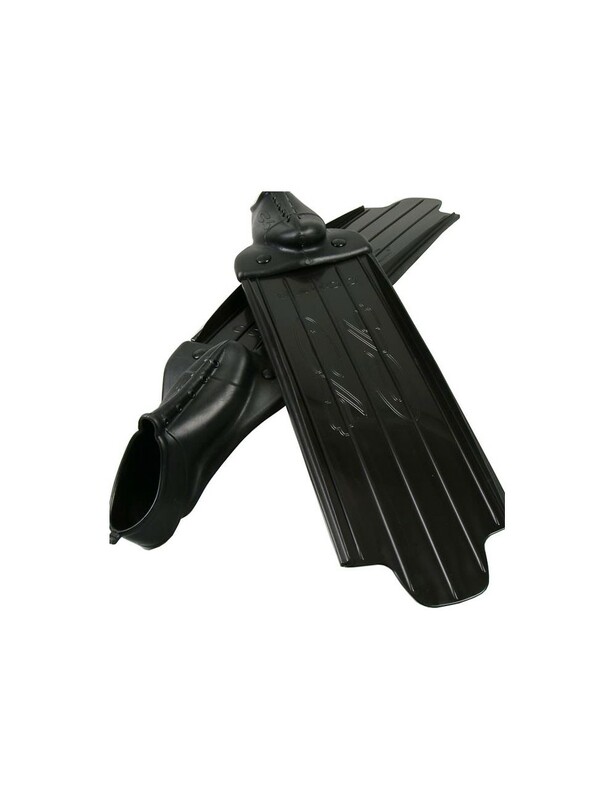 The WAHOO fins are made of TENAX-R, a new last generation's plastic polymer with high elastic module and unbreakable. The WAHOO blades are made with progressive thickness to guarantee parabolic flexion curves upon loads for the best performance. The blade extend until heel allowing the most energy transmission. They are equipped with parabolic water rails that channel without dispersions the worked water masses directing them only longitudinally with a full advantage of push and speed. Nothing is lost and under water we can easily feel performances' increase. Spearfishmen will not pay attention and dedicate part of his energies in the motion control, the canalisation of fluid stripes due to water rails will make him incomparable efficient. Expert and trained divers will take from this special advantage and they will be able to enjoy energy spare at usually unknown levels. To use all the energy in the best way WAHOO apply the force of the blade from under the metatarsus, the naturally ideal force point. This means an easiness exalting swim and a natural movement with reduced energy consumption. Also the ending flap improves the detachment of fluid stripes from the blade reducing damaging whirlpools just in the sections of highest fluid speed. Its special shape avoid easier contacts with sea floor. Blades with flap and therefore without edges, have a less encumber and a less impact on the sea floor during upset movements required by spearfishing actions. With WAHOOs the saved energy is at the maximum level for plastic fins, with full profit of our apnea and safety. Less tired is safer, this is a passive safety condition to follow up. WAHOO blades are connected to the footpockets through a special two screws junction, for a better mechanical seal and whole energy transmission. If necessary for transport WAHOOs can easy be dismantled, reducing bulk and with it the main reason of damage for instance in air transports. WAHOO fins are proposed only in medium-soft stiffness.